“There’s nothing that would keep Apple out of the Android market as a secondary phone market,” said ex-Apple employee Steve Wozniak in a recent interview with Wired. As we have always known, Steve is very supportive of Google’s Android effort, and frequently switches between Android and iOS devices, usually keeping a few different phones in his backpack at any given time. The man has no “brand loyalty” – he simply loves all technology. Wozniak praised Apple for its ability to say “no” when it comes to adding in different software and hardware features for the iPhone. “If you have something really good, don’t change it; don’t screw it up.” With every rendition of a Galaxy phone changing throughout the years, it’s plain to see that Samsung continues to build in new software and can’t seem to ever be satisfied with its own devices. This is exemplified when you buy a Galaxy phone with 16GB of internal storage, but are left with only 9GB of usable space thanks to Samsung’s packing in of proprietary software and custom skins. As it is, Apple could simply fork Android at anytime, much like Amazon has done and tweak the OS to its liking, but would that ever happen? Probably not. This is Apple we are talking about. The company is very prideful when it comes to their smartphones, and it wouldn’t surprise anybody if Apple thought Android was a “cheap” or “lesser” mobile operating system. 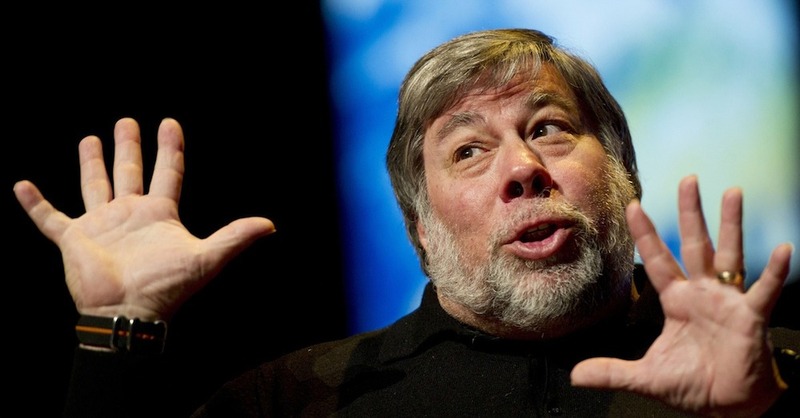 But that’s what we love about Woz. He doesn’t care about any of that stuff – he just wants an awesome experience with his phone.